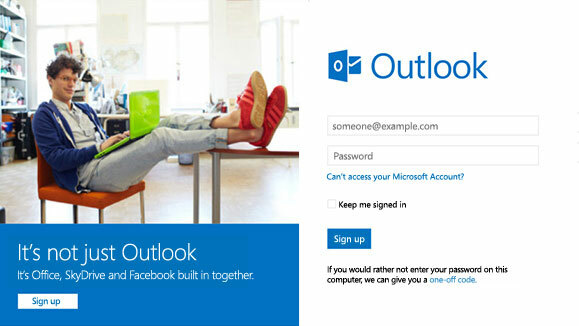 Microsoft - Take a look at Outlook.com – email that gets you going. Outlook.com is a free email service built to keep you connected like never before. Share your photos and videos more easily, manage your inbox effortlessly and stay up to date with your friends no matter where they are – all from one place. All Hotmail accounts will soon be automatically upgraded to Outlook.com, but you’ll keep your same login, password, saved emails and rules. You’ll have your Hotmail email address and history while you enjoy the fresh, intuitive design and features of Outlook.com.